The Independent Electoral and Boundaries Commission(IEBC) is simply the comedy gift that keeps on giving. Barely a month after Chebukati reportedly flew abroad with Chiloba’s office keys, it has now emerged that the IEBC Chairman may have compromised the security of the election kits by involving his son. Correspondence between Chebukati and Safran Morpho, the suppliers of the Kenya Integrated Election Management System (KIEMS) reveals how the kit was handed to a third party for review less than two weeks to the hotly contested elections, the Star reports. The daily further reports that Chebukati, who had disagreed with half of the commissioners at the time, disregarded official advice from the commission’s IT experts, and took the kit together with the passwords to “a personal consultant” to test their efficacy. The personal consultant — believed to be Chebulati’s son — completed his audit and wrote a report raising a number of questions just ten days to the elections. 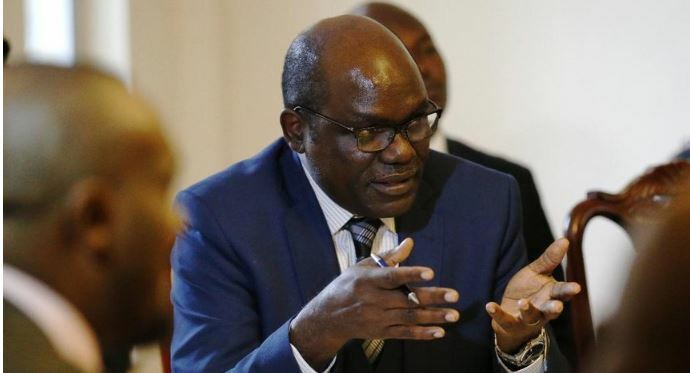 The audit, as reported by Chebukati, pointed out several “potential ways the kits may fail or be engineered to fail” including rebooting the EVID kit “into recovery mode without any special permissions or notifications on the monitoring platform”. “In recovery mode, an individual with physical access to the device can —among other things — factory reset the EVID o the default Android system it came within less than one minute,” said Chebukati. “This implies that one kit can transmit results on behalf of another polling station,” he noted. Without the knowledge of Ezra Chiloba and fellow commissioners, Chebulati is said to have written to Safran Morpho, giving the company 24 hours to respond to the queries with “concrete suggestions on how to alleviate and/or eliminate the concerns”. In an email to Safran Morpho on 25 July Chebulati responded: “I shall not at the moment give details of the procedure adopted and issues of the supervision of the testing or even details of the environment thereof. In case I do not hear from you; I shall then place the matter before the commissioners for open discussion,” said Chebukati. He did not disclose the name of the consultant — whom he referred to as his relative — to the commission. The Chairman is also said to have wanted his son, who was then studying in the US, to be attached to the ICT department but the son turned down the idea.